"These are great! Very warm and functional and they look fantastic. Its very cold on the coast of the North Atlantic and these keep your fingers warm without wearing overstuffed gloves or mitts, which actually do not work in this climate. These work great and are wind and weather proof so far. 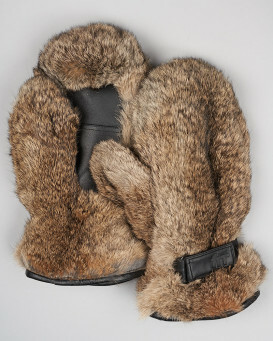 Absolutely highly recommended over nylon and insulated ski gloves or mitts. These are so good I ordered 2 matching hats from FurHatWorld." "I’ve worn these mittens (size s/m), last night in 2 degree F with the windchill, walking my dog for about an hour and a half, for the first time since receiving them. I’m a 60 year old male that has trouble keeping his fingers warm, even with the best - rated ski gloves! 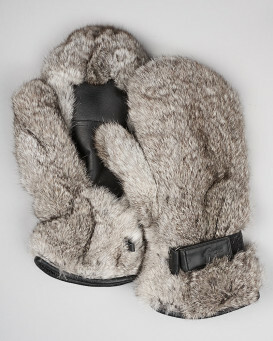 These mittens are fabulous! 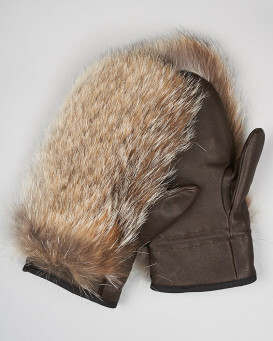 Combined with the Black Lambskin/Gray Rabbit Aviator Hat from FHW, I am now one happy camper! Size was not an issue for me. I am not a mittens kind of guy, but with this company’ s return policy, I figured I’d give them a shot! Boy, am I glad I did! We are just beginning to feel the effects of the Polar Vortex here in the Northeast, and these mittens arrived within 4 days of ordering, from Canada! Highly recommend......."
"Fast delivery (5 days) on an international delivery is great. Top quality and purchased along with an Russian Ushanka hat. Sets off the hat great but by themselves would have been a satisfying purchase. With the adjustable cuffs (easy to adjust even with gloves on) which feel they’ll last a lifetime, very happy with this purchase. Bring on the winter :-)"
"Excellent products and the best and fastest delivery times I've experienced, buying products on the net." "Love them and would love to know when you are getting some black ones?? I hope sometime SOON!" Based on 125 customer reviews.